The Load Strand Direct (LSD) - The New Kid on the Block - Salt Pump Climbing Co.
A relatively recent innovation, the LSD lower is primed to go mainstream. It takes the novel approach of redirecting the load rather than the brake strand. This defeats the device’s assisted braking mechanism, providing a convenient lower! Great if you need to lower a climber mid-route or use a system which seamlessly transitions back into a belay. This is also a great choice for doing laps or getting another pitch in at the end of the day. To perform this, simply place a non-locking carabiner into the masterpoint, above the belay device. 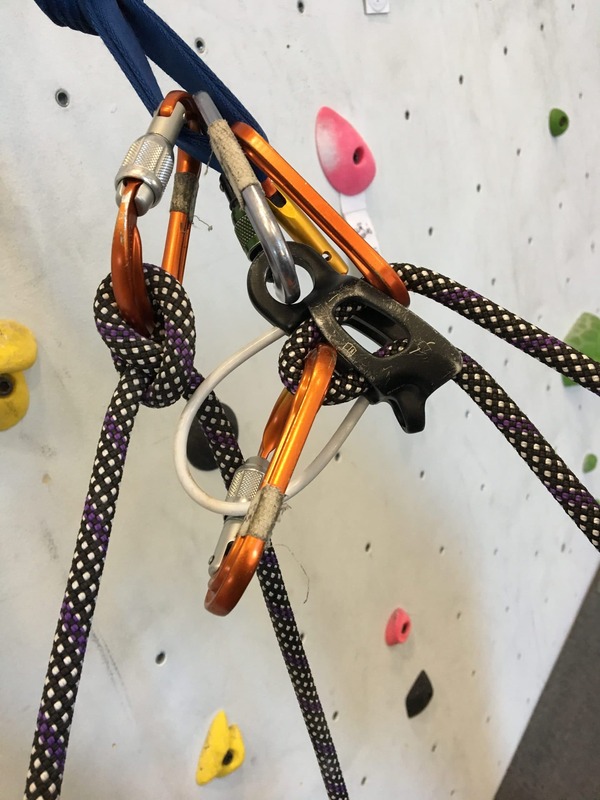 With your auto-block back-up, tested and already in place, ask your climber to briefly unweight the rope. Clip their strand (load) into the carabiner, have them lean back, then gradually lower away. If for whatever reason, the carabiner came unclipped, you are right back into guide mode. 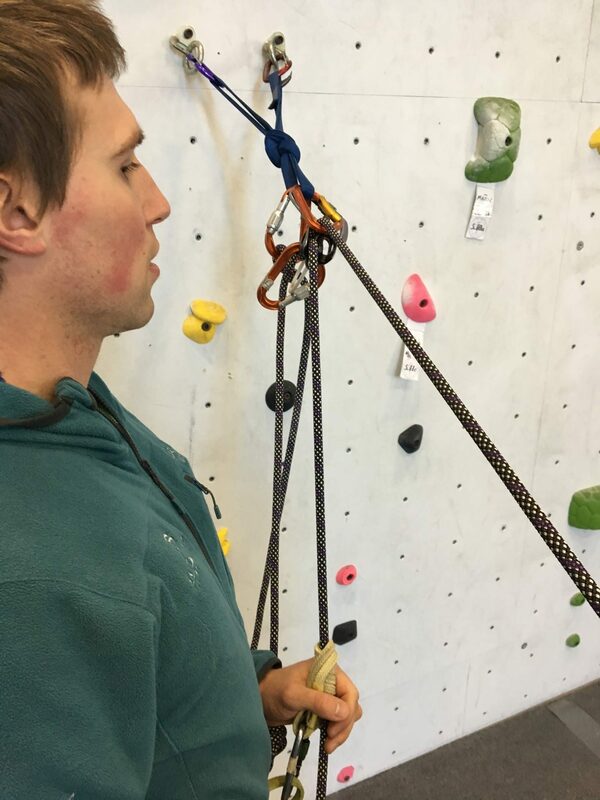 This technique does provide less friction than some lowers, and is slightly dependent on the belay device/carabiner combination used. A wider shot of the LSD. Zack, our belayer, has his autoblock loaded onto the brake strand in his left hand, with the climber's strand on the right. A close up of the system in action. Our belayer is anchored into the master point with the locker on the left, and the load strand redirected using the ATC and 2 carabiners on the right. One of the initial criticisms of the LSD lower is it requires a climber to unweight the rope, which admittedly is not always doable. However, with proper communication, it should be possible to have the rope briefly unweighted for a few seconds, 90% of the time. Even in a self-rescue situation, where the follower may have hit the ledge, they are likely in a position to assist. We should avoid letting the “worst case scenario” discourage us from using an effective and streamlined technique. That said, if your climber can’t unweight the rope, watch an innovative solution in this AMGA video. Ultimately, all of these lowering techniques from the previous article and this one are tools in the toolbox. Which one you utilize depends on your situation, available gear, and experience with each technique. Practice conservatively and educate extensively to better understand each technique and their proper application. Stay tuned for the next blog where we’ll talk about some cautionary advice, additional security measures, and a few common lowering techniques to be more wary of. Want to learn the Load Strand Direct lower? ...and many other techniques? Drop us a line!